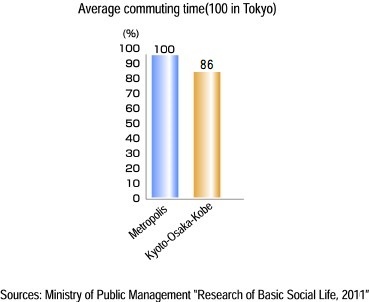 Commuting Circumstance in Hyogo/Kobe is Comfortable and convenient compared to Tokyo area. 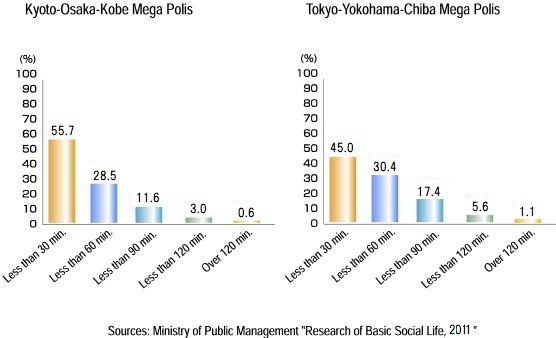 Hyogo-Kobe, compared with situations of 7 neighboring prefectures around Tokyo, has much easier conditions to establish the office-residence-adjacent type life style, with much shorter commuting time and distance. Further, an advantage is comparatively less traffic congestions, and so a private car can be driven to the office with ease.